We are open Monday thru Friday from 6:30 am until 6:30 pm. Does a few minutes make a difference? We offer a 6:15AM Earlier Bird Program for Commuters. Convenient, Easy Road Access, Easy Pickup & Drop Off ! We are conveniently located on the Cobb & Paulding County line on Highway 92 (Dallas-Acworth Highway) just moments from Route 41 (Cobb Parkway). Within a five-mile radius of our school are the following community developments including Bentwater, Seven Hills, Alexandra, Governors Club, Timberlands, Brook Stone, The Estates, and a host of other favorite communities. We are also convenient to the new Kroger 27-acre shopping center at the corner of Hwy. 92 and Cedarcrest Rd. with frontage on both Hwy 92(Dallas-Acworth Hwy) and Hwy. 92(Dallas-Hiram Hwy.). Old Stilesboro Road, feet from the school, is also the first opportunity to return to Cobb County after entering Paulding County. Start out going I-75 N. to Barrett Pkwy Exit (exit 269) toward US- 41/ Kennesaw. Turn Left onto Ernest Barrett Pkwy NW. Turn slight Right onto N Cobb Parkway continue to follow North Cobb Parkway. Turn Left onto GA – 92 (Old Acworth Dallas Hwy NW.) 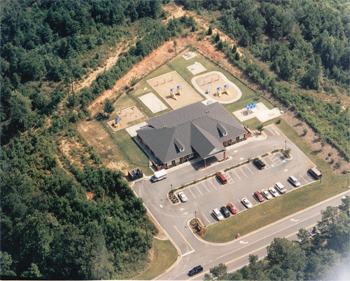 Continue to follow GA – 92 Until you see Favorite Time Academy (10492 Dallas Acworth Hwy) on Your Left. Start out going West on J O Stephenson AVE NW toward LI’L General Cloggers LN NW. Turn Left onto Dallas ST NW. Turn Right onto Watts DR NW. Turn slight Right onto US – 41 N (N Cobb Pkwy). Turn Left onto GA – 92 (Old Acworth Dallas Hwy. NW) Continue to follow GA – 92 until you see Favorite Time Academy (10492 Dallas Acworth Hwy.) on your Right. Start going North on Main St. toward E Griffin ST. Turn Right onto GA – 61(E Memorial DR) Continue to follow E Memorial DR until it becomes GA – 381 (GA – 92, Dallas Acworth Hwy). Continue to follow GA – 381 (GA- 92) until you see Favorite Time Academy 10492 Dallas Acworth Hwy) on your Right. Start out going Northwest toward GA – 92 (Hiram Douglasville Hwy.) Turn Right onto GA- 92, Continue to follow GA- 92. Turn slight Right onto GA- 92 (Dallas Acworth Hwy.) 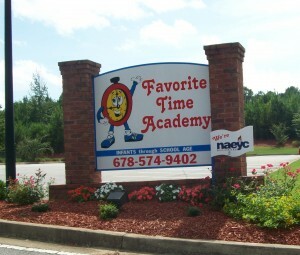 Continue to follow GA- 92 until you see Favorite Time Academy (10492 Dallas Acworth Hwy.) on your Right. Start out going Northeast on Bankhead Hwy. (E Broad ST, US- 78) toward Campbellton ST, Turn Left onto Dallas Hwy. ( GA – 92). Continue to follow GA -92. Turn slight Right onto GA – 92 (Dallas Acworth Hwy.). Continue to follow GA – 92 until you see Favorite Time Academy (10492 Dallas Acworth HWY) on your Right. Start going North on Main ST (Canton HWY) toward Towne Lake Pkwy. Turn Left onto Towne Lake Pkwy. Merge onto I- 575 S via the ramp on the Left. Take the Chastain Rd exit (Exit 3). Turn slight Right onto Chastain Rd NW (Chastain Rd becomes Mccollum Pkwy NW). Turn Right onto US – 41 N (N Cobb Pkwy). Turn Left onto GA – 92 (Old Acworth Hwy. NW) Continue to follow GA – 92 until you see Favorite Time Academy (10492 Dallas Acworth Hwy.) on your Right. Start out going West on Marietta Street SW toward Pineview DR SW. Turn slight Right onto Old Dallas Rd (Old Lost Mountain Rd SW) Continue to follow Old Lost Mountain Rd. Turn Left onto GA – 176 (Richard D Sailors Pkwy SW). Turn slight Right GA – 6 (CH James Pkwy, Thorton Rd SW, Us – 278 W). Turn slight Right onto GA – 92(Dallas Acworth Hwy). 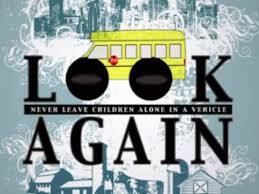 Continue to follow GA- 92 until you see Favorite Time Academy 10492 Dallas Acworth Hwy) On your Right.